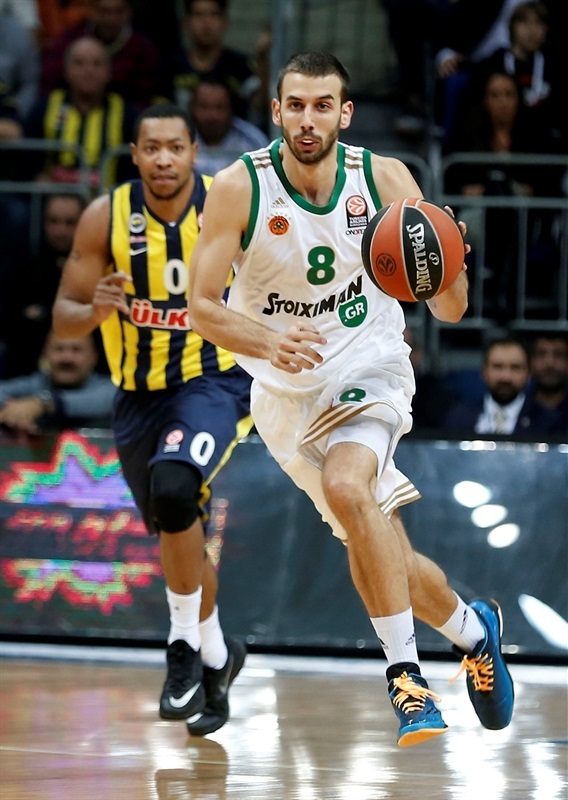 Fenerbahce Ulker Istanbul took a huge step towards clinching one of the top two spots in Group C with a convincing 84-62 victory over Panathinaikos Athens at Ulker Sports Arena on Thursday. Andrew Goudelock and Semih Erden led the way with a combined 21 points in a 31-16 third-quarter as the Turkish champs pulled away for good. 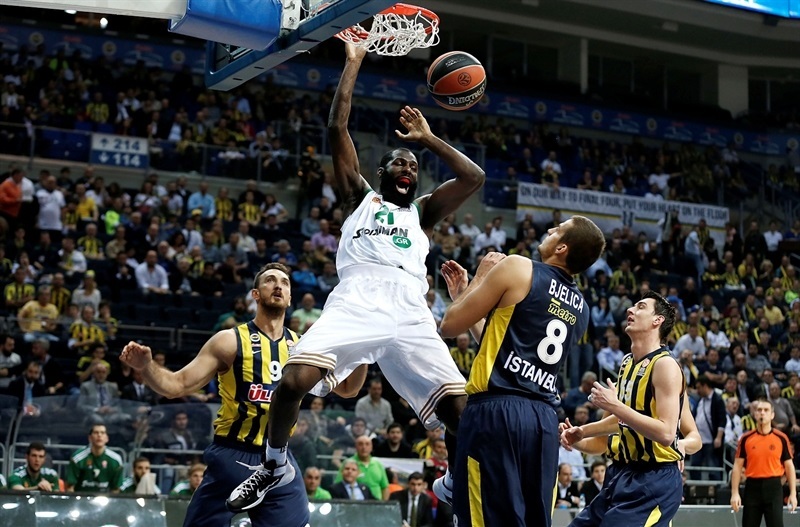 The win lifted Fenerbahce to 6-2, while dropping Panathinaikos to 5-3. 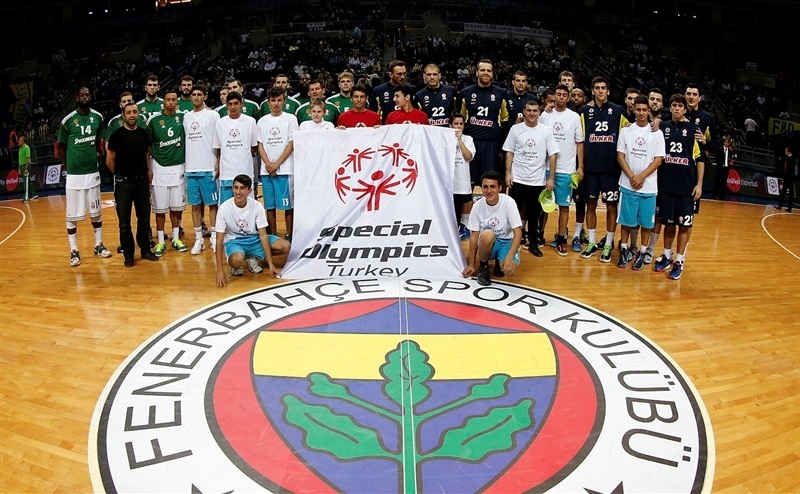 The result also gave Fener a potential head-to-head tiebreaker over the Greens, who won by 18 in Round 3 in Athens. Goudelock made 4 threes in the third quarter and finished with 18 points. Erden had 7 points and an assist in a 12-0 game-breaking run in that period. He totaled 14 points and 7 rebounds in just 15 minutes. Jan Vesely added 12 points and Ricky Hickman 10 for the winners. A.J. 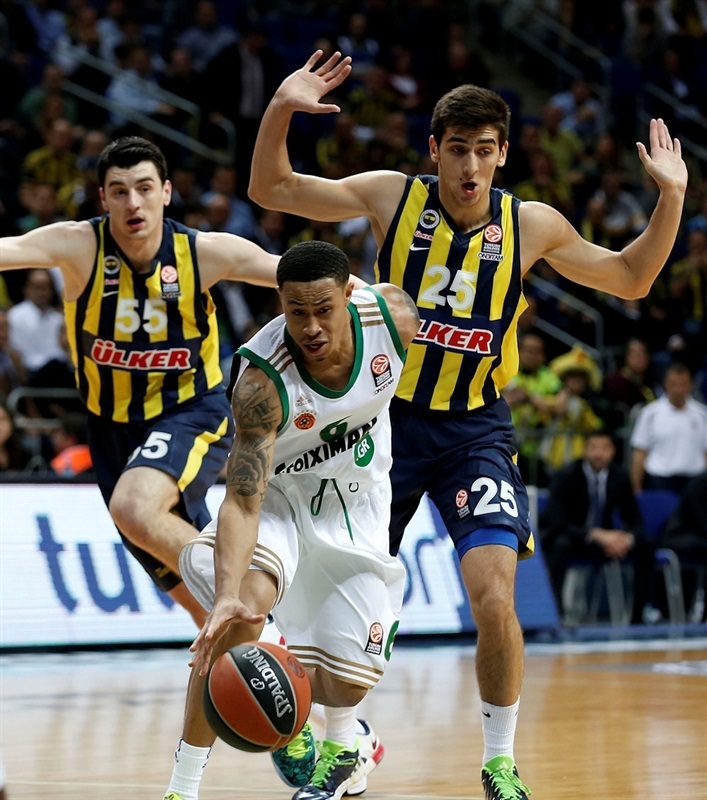 Slaughter paced the Panathinaikos attack with 20 points. Panathinaikos won the opening tip and Dimitris Diamantidis found Julian Wright on the first play for a two-handed slam. Wright added a fast break layup before Semih Erden got the hosts on the scoreboard with an offensive rebound and slam. Emir Preldzic drilled a three to give Fenerbahce its first lead, 5-4. Diamantidis took a steal in for a layup, but Andrew Goudelock responded with a jumper for his first points. A.J. Slaughter created a highlight by dribbling through Erden’s legs before drawing a foul and sinking the resulting free throws. Nemanja Bjelica stepped up for the hosts with a basket in the paint and an assist to Erden for a slam. Erden soon made it 12-8 from the foul line. Left wide open, Eleftherios Bochoridis buried a three for the Greens and Wright rejected Berk Ugurlu from behind. 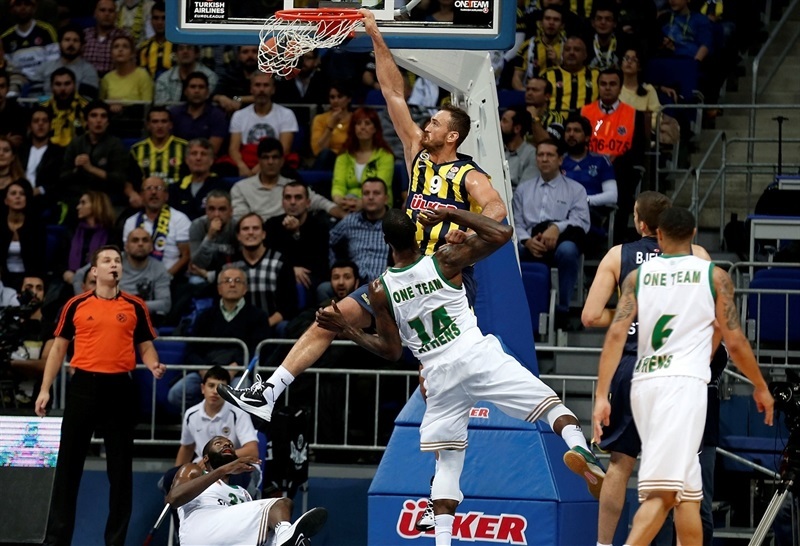 Luka Zoric scored for Fener, but Wright attacked the basket to make it 14-13. After Zoric added a pair of free throws, Slaughter tied the game from behind the arc. Bogdan Bogdanovic fed Jan Vesely for a basket inside and James Gist dished to a cutting Nikos Pappas for a layup that made it 18-18 after 10 minutes. Both offenses cooled down and settled mostly for outside shots. More than three minutes passed before Ricky Hickman made a layup for the first points of the quarter. Gist answered in the paint to make it 20-20. Melih Mahmutoglu hit a three from the wing and after a Janis Blums turnover, Hickman nailed a three from the corner as Panathinaikos called timeout down 6. Gist scored a pair of foul shots, but another Mahmutoglu triple and Hickman’s steal followed by Vesely’s put-back slam made it 31-22. The Greens did not panic as Slaughter drained a long jumper and Fotsis scored inside. Bogdanovic found Vesely for a layup, but a Slaughter triple made it 34-29. Goudelock hit a three, but a triple from teenager Vasilis Charalampopoulos cut the gap to 36-32 at halftime. Gist made it a 1-point game with a three from the corner on the first possession of the second half. Goudelock fired in a three over Slaughter at the other end. The Fener scorer nailed a second straight three as the crowd started to sing. Wright kept Panathinaikos in the hunt with 2 free throws, but Hickman drilled a triple to make it 45-37. A red-hot Goudelock connected again from behind the arc to give the hosts their first double-digit lead. Pappas drove hard at the other end for a basket-plus-foul. Slaughter scored after a steal, but Erden converted on the offensive glass to keep Fenerbahce in control. Erden’s offensive rebounds set up Bjelica for a three-point play and then finished a play himself for a 55-41 lead midway through the quarter. 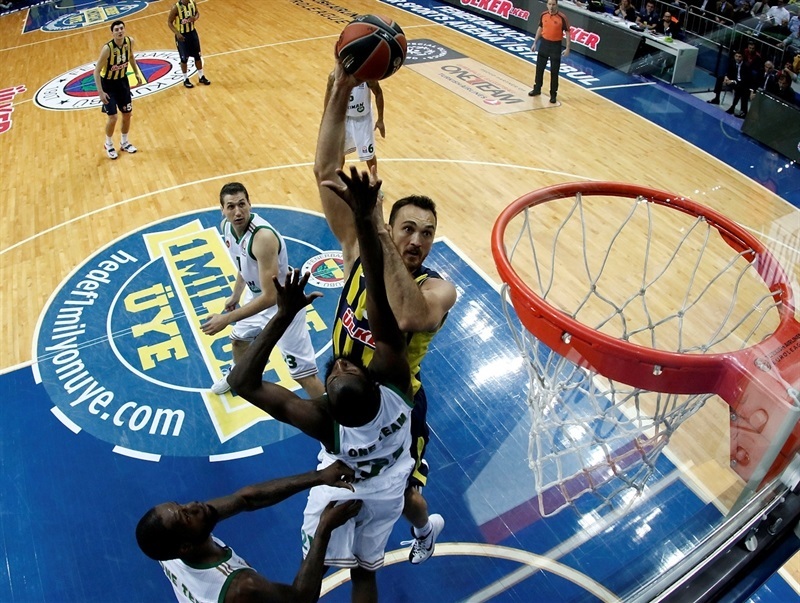 Erden remained a force inside as Bjelica found him for a three-point play. Hickman capped a 12-0 run before Fotsis ended the Greens’ scoring drought. 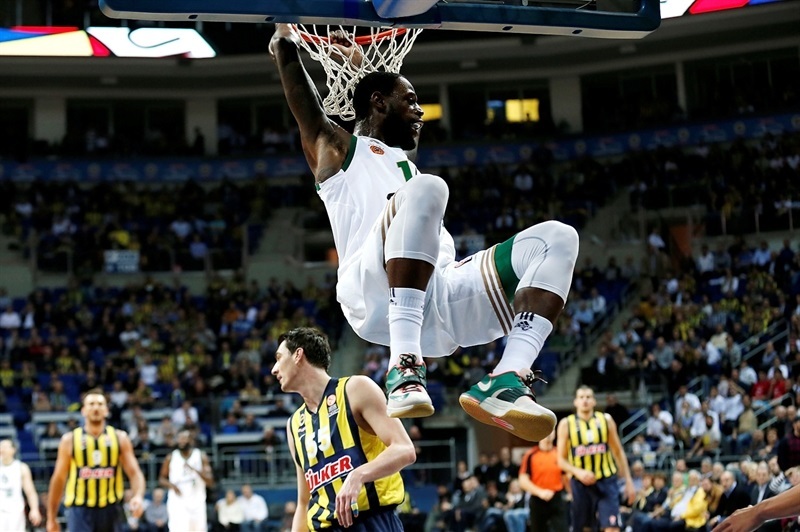 Erden grabbed an offensive board and dunked with two hands to assert his team’s dominance. Charalampopoulos scored inside, but Goudelock’s fourth three of the quarter gave Fenerbahce a 20-point lead, 65-45. Vlanitimir Giankovits added a three from the corner to make it 67-48. 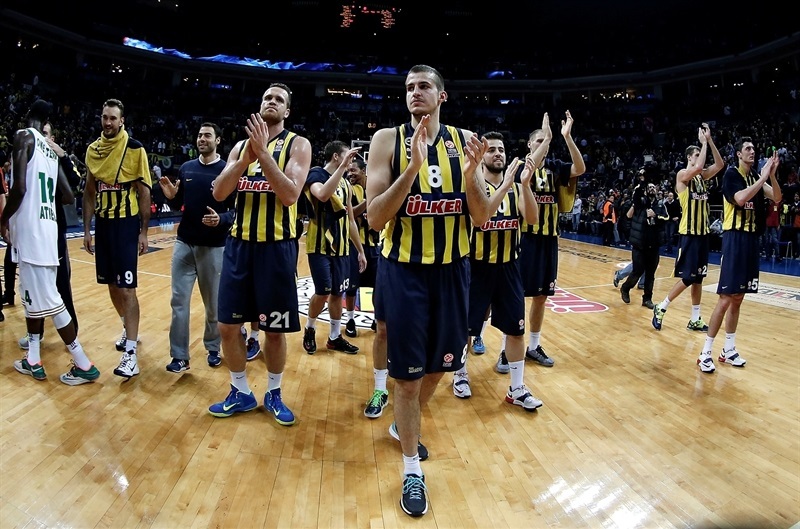 Zoric blocked a Slaughter three and Vesely scored inside as the hosts looked to seal the win early. Charalampopoulos countered with free throws, but a Zoric dunk kept Fener cruising. Slaughter hit free throws and later added a triple to make it 73-55 as the point difference took on a larger meaning. Vesely scored at the rim at the other end. Slaughter drained his fourth triple of the night to cut the deficit to 17. 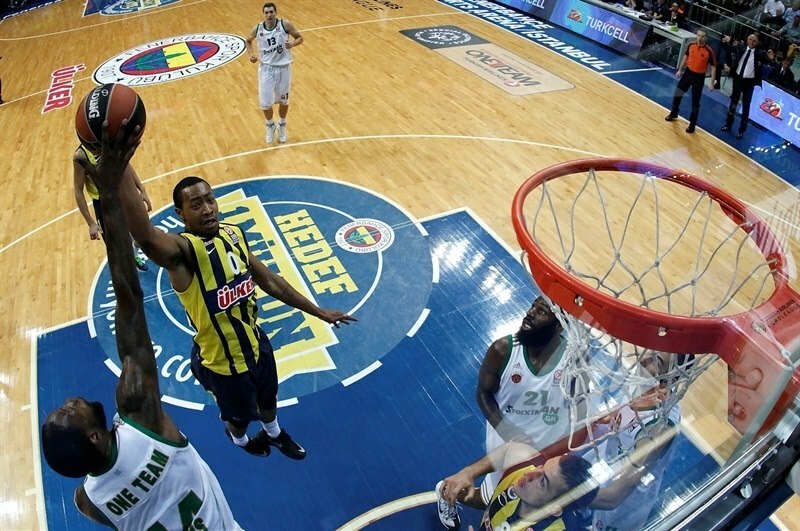 Preldzic rose for a steal of a lob pass, Goudelock took the ball and found Vesely for a wicked slam. Goudelock then dribbled through the Panathinaikos defense to make it 79-58. Bochoridis and Fotsis kept the game alive by bringing the Greens within 19 with a minute to go. But the visitors missed their final two shots and Bogdanovic drilled a triple in the closing seconds as the local fans went home happy.
" It was a nice atmosphere in the arena. I believe my players felt the support from the fans. We tried to play a good game, and the truth is our transition game and our set plays in half-court were bad. [In the] second half we changed, we played much better, starting with Drew Goudelock. That gave power to everybody to play better. Panathinaikos sometimes tries to play with four perimeter players, and we answered well to that. But Panathinaikos played without two very important players, big guys Batista and Mavrokefalidis, and Diamantidis played only five minutes for some reason, and they are a very different team without them. We are already in the Top 16, just like Panathinaikos, we will try to play good the last two games. It is important the team plays with confidence. " 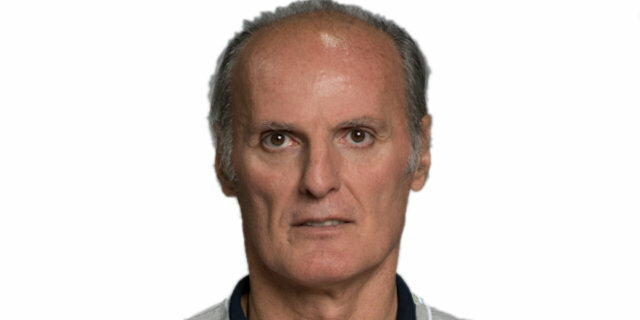 "Congratulations to Fenerbahce. They played good, intensive, with strong defense. They had a very fluid attack. Third quarter problem was a poor defense, and we had 16 turnovers. And normally these turnovers against Fenerbahce means easy baskets for them. 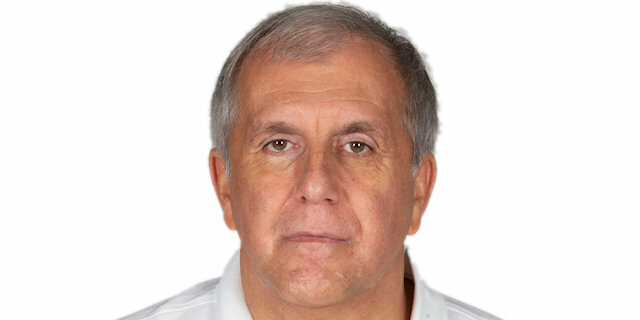 We will see tomorrow if Diamantidis is okay."